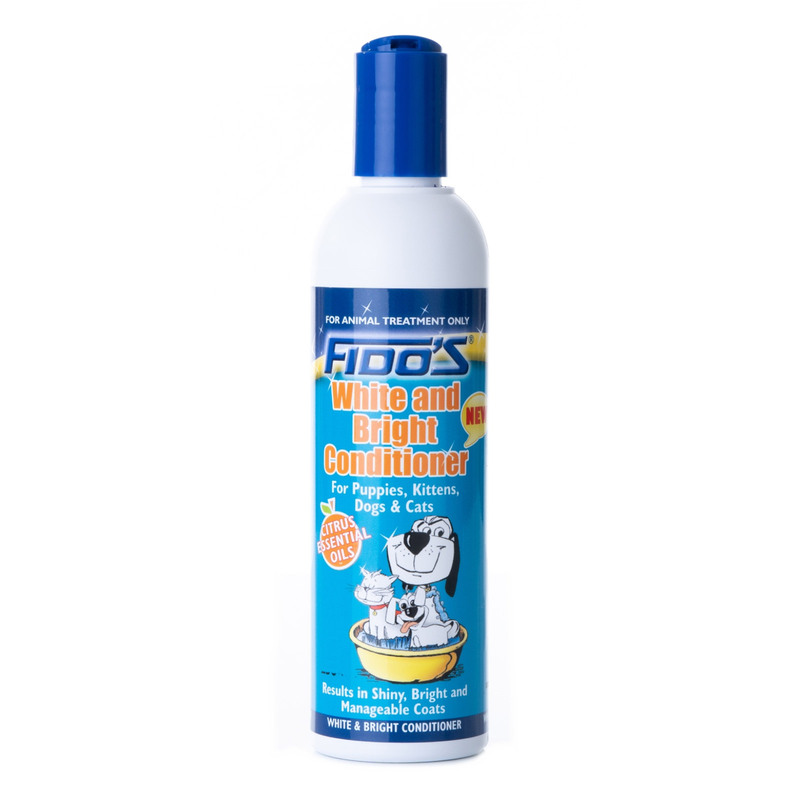 Mavlab’s Fido’s White & Bright conditioner gently conditions and leaves your pet skin and coat smooth and bright. Best suitable for pale coat, this conditioner improves coat shine and adds lustre. This soap free conditioner is gentle for sensitive skin and leaves pet smelling great. Fido’s White & Bright conditioner contains a unique blend of rich conditioners, optical brighteners and citrus essential oils. The rich conditioner smoothes and adds radiance to coat and skin. Added citrus oils improve skin and coat health and texture. It is ideal for pale coloured coats. Avoid contact with eyes and wetting inside the ears. No contraindications seen on using this product. Very good for the fur of my fido. I am very happy with the result. Love the fragrance and it provides such a great sheen and softness that I like to run my fingers in my dog's coat whenever he sits beside me. It doesn't have any adverse effects on my dog's ultra-sensitive skin so I am probably gonna use it on him for the rest of my life. I love fidos bright and white shampoo so I was excited to use the conditioner with it but I was let down when my white dog turned blue I had to wash her again to get all the blue out. Fido is a trusted brand and I loved this conditioner that I purchased almost 10 days ago. Upon receiving it the other day I applied it on my fluffy's coat and had brilliant results as ever! Thanks!